the march of the real bumiputera – welcome! or supposed to be a march… because they were stopped by the police!… while the pendatang from perkasa and those pendatang cow-head protestors marched/protest, the police did nothing. who are these real bumiputera – the true son of our soil, i meant? why, the orang asli of course! very glad to hear that that was the biggest protest of the orang asli. very glad to hear that finally the orang asli had dare to come out, dare to speak out. they were protesting against the proposed amendment to act 134 of the national land act. land issue had always been the perennial problem plaguing the orang asli. why? read from aliran here. also read about what they themselves had to say, where i personally heard from them, not only about land but about JHEOA (the orang asli affairs department). i have nothing good to say about JHEOA. JHEOA is rubbish… acting on their own interests only or of course umno’s interest. Police today stopped more than 2,000 Orang Asli from marching to the Prime Minister’s Department in Putrajaya in a rare protest against what they deem to be the government’s unfair land policy. The protest, dubbed the biggest Orang Asli demonstration in history by Centre for Orang Asli Concerns coordinator Colin Nicholas, was stopped by a contingent of police officers 15 minutes after the march kicked off. 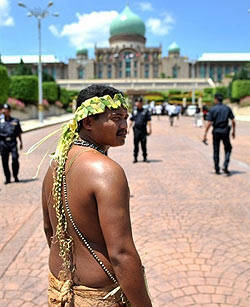 The Orang Asli protesters arrived this afternoon at the country’s administrative capital in 40 buses and gathered at the Putrajaya Mosque. They had planned to march from the mosque to the Prime Minister’s Department to hand over a memorandum, signed by 9,071 Orang Asli throughout Peninsular Malaysia, to Prime Minister Najib Abdul Razak. The group, comprising the young, old and even children, held banners declaring ‘Tanah kami, maruah kami‘ (Our land, our dignity) and Kita bukan Melayu, kita tetap Orang Asli (We are not Malays, we will always be Orang Asli), among others. Some of them were dressed in their traditional attire, complete with loincloths and colourful headgear made of flowers, tree bark and coconut leaves. The police told the protesters not to display their banners and redirected half of the crowd to the nearby Ministry of Rural Development, about 500m away. They were then met by Rural Development Minister Shafie Afdal who engaged the protesters in dialogue and treated them to lunch. The Orang Asli were told not to march all the way to the Prime Minister’s Department but were allowed to send five representatives to hand over the memorandum. The protestors eventually agreed to send a five-member delegation to the PM’s Department despite the request being initially boo-ed by the crowd. The rest of the protest group were then made to wait at the sidewalk, and were again barred from raising their banners and chanting slogans. Shafie, representing Najib, received two separate memoranda, under the watch of about 20 police officers, at the gates of the PM’s Department, some 200 metres away from the protestors. The first, by Persatuan Orang Asli Semenanjung president Majid Suhut, demanded that the community have a say over the Orang Asli representative in Dewan Negara. The memorandum was first submitted to prime mnister last December. The second memorandum was handed in by Jaringan Kampung Orang Asli Perak (JKOAP) secretary Tijah Yokchopil and pertained to the land ownership policy. In this memorandum, the Orang Asli cried foul over the lack of consultation and the fact that they will be denied autonomy over their land, which will be instead be managed by developers. They also object to the fact that the land proposed for their allocation only includes 15 percent of recognised traditional Orang Asli land. Upon receiving the memoranda, Shafie reassured the Orang Asli leaders that their recommendations will be taken into consideration when amendments to the National Land Act are tabled at the next parliamentary sitting. 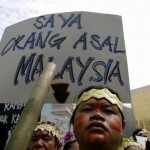 “We open our ears to whatever grouses the public, in particular the Orang Asli, have. If anyone says we are depriving them, we are neglecting them, that’s not true,” Shafie (right) told reporters. He said the protesters today came to Putrajaya to take photos as they have only seen the administrative capital on television. “Some even took photos with me,” he said. Protestors cheered upon witnessing the handing over of memoranda, and triumphantly chanted ‘Hidup Orang Asli’ before dispersing at 3pm. Earlier, Deputy Prime Minister Muhyiddin Yassin, at a press conference in the Parliament lobby, assured that reasonable demands by the Orang Asli would be taken into account. He said he was not aware of the protest and the community’s demands but stressed that the government has always supported the Orang Asli and taken an interest in their welfare. “If they are unhappy, they can submit their views on it and the department concerned will scrutinise it. If there is any proposition which is reasonable, we will do what is necessary,” he said. Today’s protest was organised by the Peninsular Malaysia Orang Asli Association (POASM) and the Network of Orang Asli Villages Perak. According to coordinator Jenita Engi, representatives of seven states decided to demonstrate after negotiations with the Orang Asli Affairs Department (JHEOA) earlier this month came to a dead end. Among the complaints were the fact that only six to eight acres of land will be allocated to each household. “We demand that all the land explored by our ancestors should be handed over to us, and not just these six to eight acres,” she told Malaysiakini yesterday. Activists want Orang Asli claims to their customary land recognised, saying their continual occupation and economic activities establish their ownership. 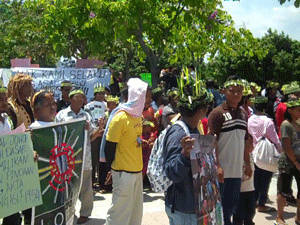 The Orang Asli community is also demanding that all restrictions be removed to allow them the right to sell their land. They said the land policy is to be part of a proposed amendment to Act 134 of the National Land Act, which is expected to be tabled in Parliament by June. 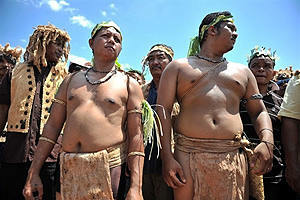 A ccording to the Orang Asli, the new legislation will give them only 50,000 hectares of the 129,000 they claim. “Who are you to give the land when it is already the Orang Asli’s,” said Colin Nicholas (right), coordinator for the Centre for Orang Asli Concerns. Nicholas said the planned amendment to the Aboriginal People’s Act would give each family only two to six acres of land. “Once they get this plot of land, they will lose (their rights to) other plots of land,” he said. Shafie confirmed the proposed amendment would give each each family two to six acres but said the terms were not final. “This is not finalised so that’s why we need their views. We are willing to listen,” he said. groups – or less than one percent of the country’s 28 million population – and they are generally disadvantaged in terms of income, health, education and living standards. This is the second street protest by the Orang Asli this year, with the first having taken place in front of the JHEOA hospital in Gombak, Selangor, on Feb 24. The historic Orang Asli protest at Putrajaya today has successfully united the once-scattered co mmunity, said protest co-coordinator and indigenous rights activist Colin Nicholas. However, Nicholas is skeptical whether the protest – the largest ever by the Orang Asli community – will change the government’s approach towards the community’s plight. About 2,000 protesters attempted to gather at the Putrajaya Mosque and march towards the Prime Minister’s office to submit two memorandums to demand more representation at the Dewan Negara and state their objections towards proposed amendments to the National Land Act. The police stopped the group from marching but allowed them to submit the documents to the relevant authorities. Speaking to Malaysiakini after the protest, Nicholas said Rural Development Minister Shafie Apdal’s promise to consider the Orang Asli’s recommendations on the proposed amendments should be taken with a pinch of salt. “Look at the language that he was using. He is still talking about ‘tanah rayau’ (roaming land),” he said, referring to Shafie Apdal’s comments after he received the memorandum. “This is untrue. Only a very small number of Orang Asli are nomadic, most settle in one place,” he said. Earlier, Shafie, when speaking to reporters, brushed off the Orang Asli claims that the government was taking away their native land. “This is about tanah rayau, which is for roaming, so it could be anywhere. They can even claim Putrajaya as their tanah rayau,” he said. Shafie said his ministry would hold a series of roadshows throughout the peninsula to engage the Orang Asli community and seek their feedback over the proposed National Land Act amendments. Again, Nicholas expressed doubt if the government was sincere. “What is a roadshow? They don’t tell the Orang Asli what the actual amendments are and what they mean, but just say, ‘This is what we’re going to do’. It’s like brainwashing. “Imagine me telling the Malay community how to live their lives, practice their religion and culture. What kind of reaction do you think that will garner?” asked Nicholas, who heads the Centre for Orang Asli Concerns. Jaringan Kampung Orang Asli Perak (JKOAP) secretary Tijah Yok Chophil told reporters that the government’s policies reflect a total disconnect between the Orang Asli community and the government. “Government officers just sit in their air-conditioned rooms and does not understand the daily struggles of the Orang Asli,” she said. Despite the evasive answers by the minister, some activists believe that the protest had achieved its purpose and the government will think twice before bulldozing through with laws and policies affecting the Orang Asli. Another protest coordinator Lena Hardy described the protest as a show of strength to prove that the Orang Asli were willing to stand up and be counted. “Whether this will change the amendments, we will have to wait and see. But it’s a good start and they have made an impact,” she said. Uncharacteristically, the authorities took a soft approach towards the protestors today with the police attempting to usher them away from the Prime Minister’s Department building and to an auditorium at the Rural Development Ministry building some 500 meters away. Instead of the usual band of riot police and water cannons, the protestors were feted to a free lunch and a dialogue session with the minister and the Orang Asli Affairs Department. Eventually, those who were lured to the auditorium regrouped with the other protestors. The Orang Asli activists today were also riled up with Shafie’s comments to the press, where he suggested that the thousands of protesters were actually in Putrajaya for a holiday. 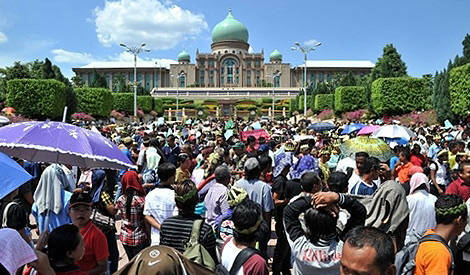 “This is not a protest…many of them are just here because it’s the school holidays and they’re visiting Putrajaya. 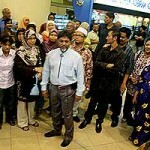 Some even took photos with me,” said Shafie, while beaming. Dinish K: “If they ar e unhappy, they can submit their views on it and the department concerned will scrutinise it. If there is any proposition which is reasonable, we will do what is necessary,” said Deputy Prime Minister Muhyiddin Yassin. Muhyiddin, I am sure they have done this in past 52 years and but no one gave two hoots about it. Most of these people were left in the jungles and never taken care of. Secondly, your comments are the same standard explanation that have been issued over, and over, and over again. Sheila Dowle: At last, the true people of this land speak. All this Ketuanan Melayu talk is rubbish if those so-called tuan cannot treat other human beings with compassion and respect. In the end, as loudly as they claim superiority, it is through action, not words, that they can prove themselves. If you are truly tuan, then rise above your pettiness and give everyone their rights. Otherwise, shut up. SusahKes: PM Najib Abdul Razak, I thought you said in Parliament yesterday that the majority of Malaysians are very happy with 1Malaysia. Looks like Umno has ignored the real bumiputera of this country. Now where’s the king of frogs Ibrahim Ali? I would love to hear his Vincent Tan-inspired comment on this matter. Lvbala: This is one of the many untold stories from the natives. There are many more. We need many more people like Dr KP Selvaa Vathany and Pakatan Rakyat to put a stop to all this nonsense created by the so-called bumi of this land. Vigilante: At last… it took one whistleblower in the form of a brave female doctor at an Orang Asli hospital to awaken the sleeping lions among the Orang Asli. Take what is rightfully yours in the first place. 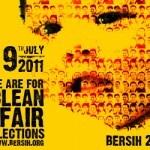 The rakyat are with you. Azmil Tayeb: The Orang Asli have finally awakened! If they don’t highlight their plight Umno will rob their land. When will it stop? 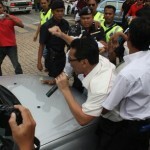 This action is an added point for those fence-sitters to vote in Pakatan. Brij Jayaram Kathiravelu: The momentum is slowly gaining among the different section of Malaysians. This is a welcome sign for our democracy. Dianne A Simon: The government shouldn’t take the land even for development. It should save and protect Orang Asli’s land from being intruded. 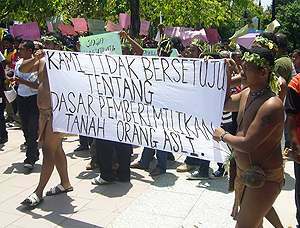 In my opinion, the government is not only facing this problem with land in Sabah and Sarawak, but they are facing similar protests from Orang Asli. Truth Seeker: They demand what is rightfully theirs. BN can’t cheat them forever. Give them back their land for they are the sons of soil of this country. What will Perkasa and Umno do now? Threaten them also? Victor Johan: The Orang Asli are the actual bumiputera. The rest are pendatangs (immigrants) from Celebes, Patani, Siam, Sumatra, Java, the Philippines, Yunan and the rest of China, Indian subcontinent, and the Middle East. The pendatangs came at differing times in history, but Malaysia is the Orang Asli’s original habitat. So pendatangs, especially the bumiputera-celup (dipped), please give due legitimate rights to the Orang Asli. Otherwise, you will be deemed as pirates, just like your forefathers, snatching away the bumiputera’s rights and properties.